Christian Metal is a particularly controversial offshoot of Christian Rock which began in the late 1970s and early 1980s, and has gradually gained popularity since. Basically, any Heavy Metal band with Christian-based lyrics or Christian members can be categorized as this. 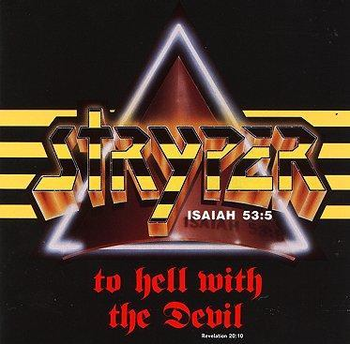 American bands such as Resurrection Band and Petra are usually credited with pioneering the genre, while Stryper were arguably the first Christian Metal band to garner mainstream attention. Other bands, such as Tourniquet and Australia's Mortification, incorporated a heavier style and have become staples in the underground Metal scene. At the Turn of the Millennium, Rap Metal band P.O.D. achieved ranks in the Billboard 200 and frequently appeared on MTV alongside their secular peers. Since P.O.D. 's success, Christian bands such as Underoath, Norma Jean and The Devil Wears Prada have gained enormous popularity in the burgeoning Metalcore scene. Christian Metal has received criticism from both Christian and secular audiences, being perceived as an oxymoron due to traditional Metal's anti-establishment, anti-religious and hedonistic sentiments. However, this has not prevented the genre from enjoying varying degrees of underground and mainstream success since its formation in the late 1970s. Several Metal bands such as Attack Attack!, Avenged Sevenfold, He Is Legend, Killswitch Engage, Pentagram, Trouble, Candlemass and even Black Sabbath have included Biblical themes in their lyrics, but are generally not considered Christian bands. Likewise, a few bands such as Savatage and Helloween have openly Christian bandmembers and have written several Christian-themed songs but are generally not considered Christian bands.